One of the two plans. 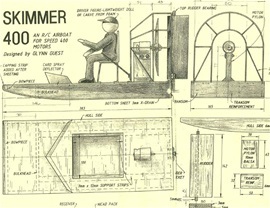 features the plans of a small air boat, or skimmer. Following the instructions given, it will be constructed out of balsa wood. The club was hoping that a number of them would be built by members as a relatively easy project. When I became the commodore of the club, I wanted to renew interest in the idea. I decided to promote a styrene foam version instead. 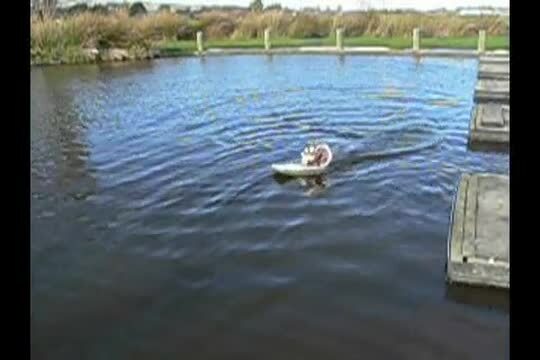 This would be much easier, cheaper and quicker to build and I had already used a hot wire to make model aeroplane wings and fuselages. For this I use a 5amp, current limited battery charger and a length of wire. Because the power supply is current limited, it can be connected across any length of suitable wire. I normally use a length of a welding wire. For special shaped cutters I use a stiffer heater element wire. The flexible wire is looped around a suitable ‘handle’ at each end and I use alligator clips to attach the power source. 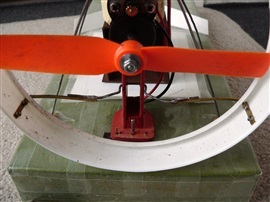 The main criteria when cutting the styrene are to maintain a good tension on the wire, keep the wire hard against the former you are cutting around and square to it as well. The latter point is particularly important if you are cutting around a curved shape. Trimming the sheet to size. 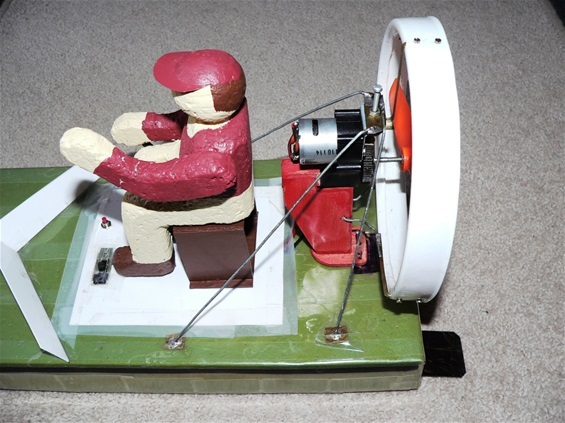 Now back to the skimmer model. First cut and shape two side profiles for the hull, as per the drawing. Then mount these, the width of the hull (165mm) apart, on a base board. 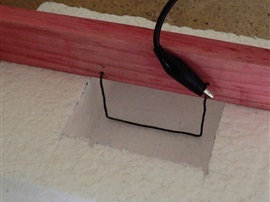 Prepare a piece of styrene the required size using a hot wire. 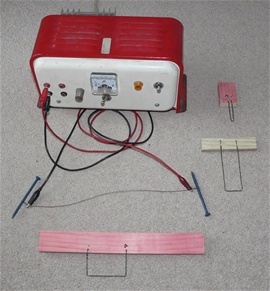 See the photo of my jig for doing this. Insert it between the profiles and place a heavy weight on top to hold it down and in position. Then proceed to cut out the styrene hull. It may need some sanding, particularly around the curved bow shape. Cutting out the equipment recess. The hull painted and covered with tape. I use a hot wire to cut out the equipment recess. Make this from stiff wire the appropriate depth for the hull. Choose water based, coloured paint, enamel will dissolve the styrene. The paint applies easily. 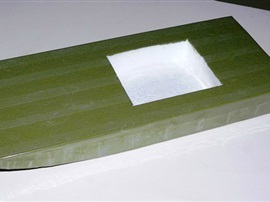 Use a clear packing tape to cover the hull. I have tried a water proof version, however it was thicker and not so clear. 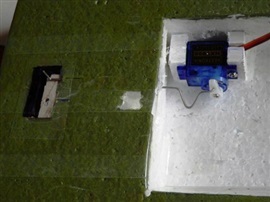 Because the skimmer is only in the water for a short time, ordinary tape seems to cope. You may get some condensation under the tape. Trim tab on left side. Generally no. There are some working models available in NZ at other scales, HO and 9mm I think.